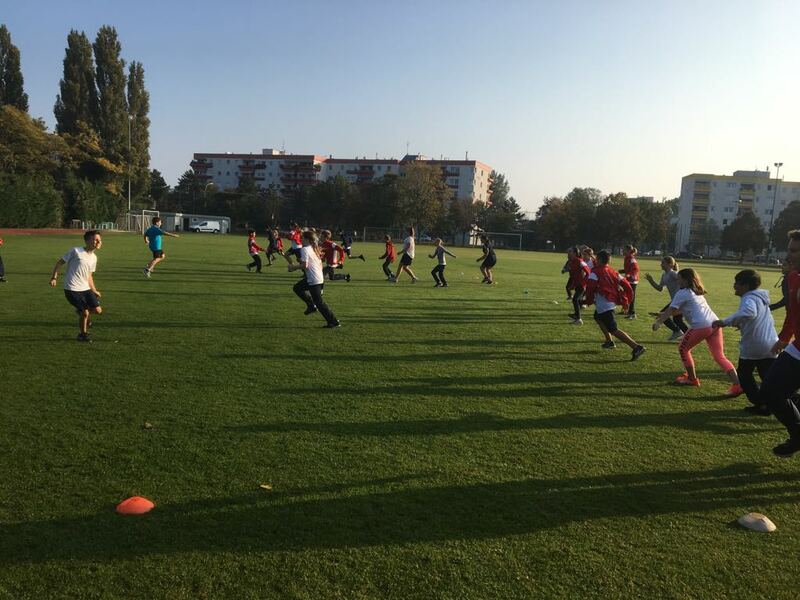 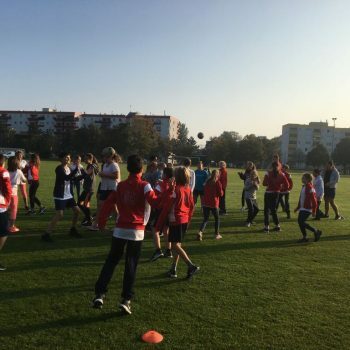 Rugby training at our school – Welcome to Bilingual Junior High School! 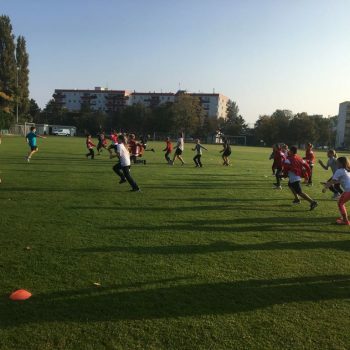 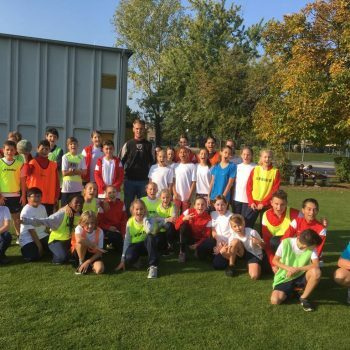 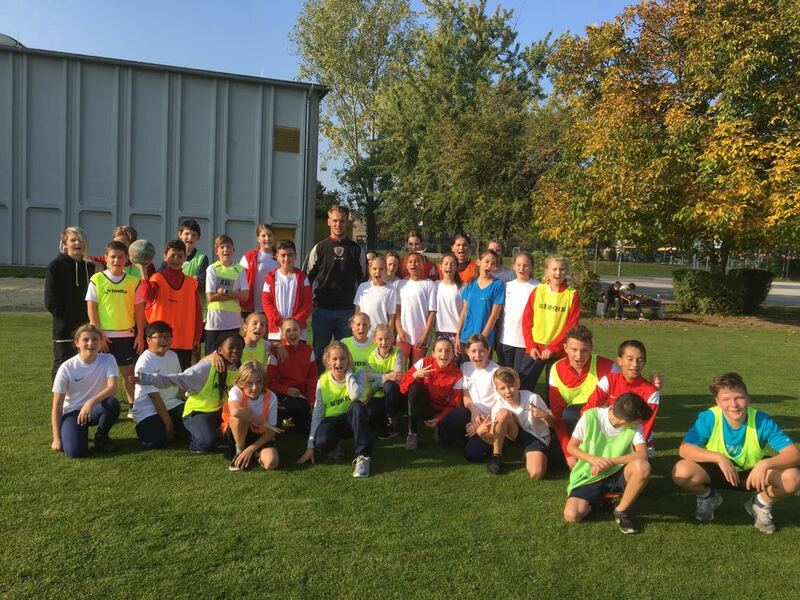 On the 9thof October, Stefan, a member of the Austrian Rugby squad, trained with the pupils of our school. 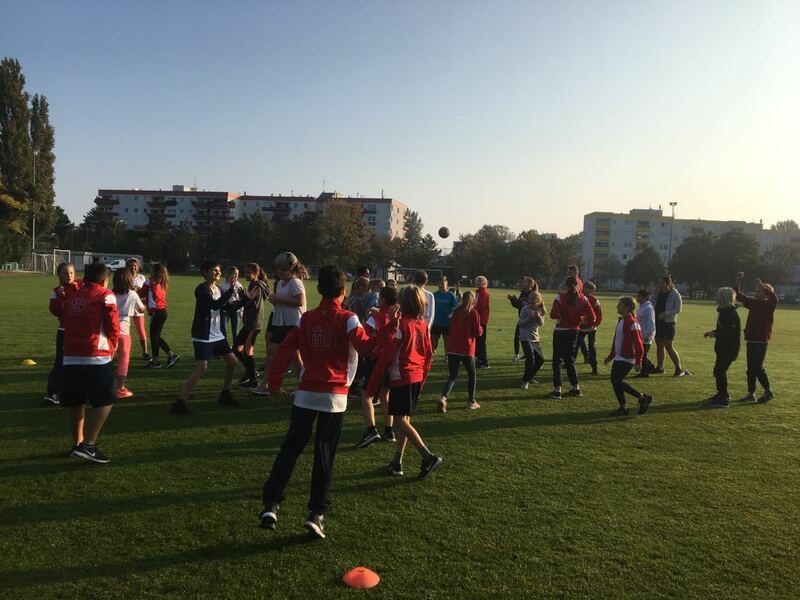 The training took place on the Europaschule pitch and although the weather was cold in the morning, the pupils really enjoyed the training despite the cold condition.